This isn’t the meet, split, get together and HEA type of romance that’s very common, but one that’s a bit deeper. We see how Abby and Simon met all those years back, fell in love so quickly, how they’ve been so close ever since and now after two children poor Abby has discovered that he had an affair recently. A short one of just a week but even so – the betrayal….Its now a few months post discovery and Abby is floundering, finding it hard to cope. Simon makes it clear he wants her back, regrets what he did, but what does she want? Does she still love him? Can she forgive? Can she ever get past this? So many questions, and it really made me think. There’s times when she’s mulling it over and angry and asking herself did She, Her, – the mysterious Helen – care that Simon was married? Had kids? That’s something I feel too – an affair is wrong, always, every time. think before acting, think of what’s at stake. Sort out home issues first and never get entangled in someone whose got a partner. I’m very strong on this – don’t have patience with the “it just happened” “we fell in love” type of excuse. Everything has a starting point, and there’s a clear divide between innocent flirty chat and taking things that step further. Stop right there is my view. Affairs cause such heartbreak, destroy families, upset kids and their homes and schooling and can be stopped before they start. So with that rant over its clear I really feel for poor Abby and I can see she’s struggling – and who wouldn’t? When she finally begins to pick herself up and seeks counselling I felt like I was there with her, thinking about the questions Mallory posed and gradually we saw how far Abby had come, and I so admired her. She’s stronger than she felt, and I loved that her new friend encouraged her to go to the gym, to get new clothes and haircuts etc. She needed that boost to her self esteem. Its never happened to me thankfully but I can imagine how many people look at themselves and feel less, feel that they must be lacking if their partner wanted someone else. When she’s writing in her book about the questions she had, those where whatever answer Simon gave he’s be wrong I could so see that happening. All the way through this I really wasn’t certain what the outcome would be. Simon was clear that on his part he acknowledged he was wrong, and had no intention of doing it again, but I really didn’t know if Abby could move forward with him or whether the betrayal was just too much to get past. It made me think how I would feel, and I understood that though she still had feelings for Simon, for now they were overshadowed by what happened. Carol kept me guessing right to the end about what would be the result – and its not often that happens, usually its clear which way things are going but not here! 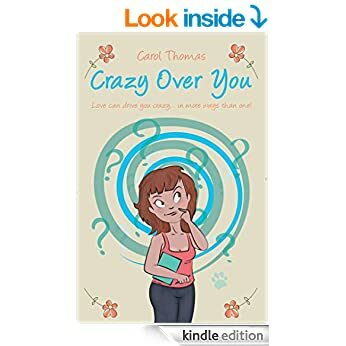 A great read, and it looks like its a debut book too – I can’t find anything else, so well done Carol for a thought provoking, entertaining read. I’ve loved this series, with seeing how life is working out for Sunny and Sven. Sunny is a fabulous character – she’s the person I want to be, but am not 😦 , and she’s changed very little from the person we first met, learned a lot but her nature is still that same loving, understanding, warm and giving person she’s always been. She’s one of those who works hard, and although she’s wealthy she doesn’t just sit back in luxury but carries on working, helping, and looking after everyone in her circle. Given that she meets people and seems to bring them in easily that circle gets ever larger. Meeting her has changed Sven, but he’s had a lot of growing up to do, he’s needed to learn how to look after others, how to blame himself, take the consequences of his actions, whereas before as a top star he was surrounded by those who’d tell him what he wanted to hear, not what he needed to hear. There’s a massive difference. 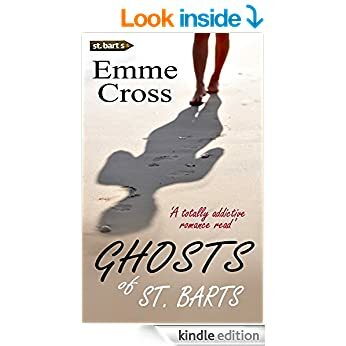 Anyway after some pretty big hiccups it looks like they are settled, but Emme sets out to show us how though they look perfect from the outside, the events of the past have left scars, traumas and they need to work through them. Its make or break time for them! I really enjoyed this issue, its how life is, we don’t just roll over when things happen but carry memories and get affected in so many different ways and it can strengthen or destroy relationships despite how people feel about each other. Sometimes I feel after the romance and getting together a story has told all we need, and those books that go on are never quite as magical as the first – and sometimes just plain dull, but here there’s still so much between them, so much from the past tragedies and issues that there’s still a lot to tell. Its going to come to some point when I’ve read all I want, even if there are more books but currently I’m still tightly immersed in what’s happening with them and those around them too that I’ve got book six on my kindle just waiting for me to finish writing this review ( I really wanted to get straight on with it but don’t want to muddle the stories so I always make myself wait when I’ve two from same series on the go….hard though in this case ! Its a book that once more made me smile and made me sad, and I really enjoyed reading more from them – I still want to smack Sven at times though when he behaves/thinks in a stupid way, even though I adore him…. Stars: Five, shortish but hot and fun read, and a great addition to the series.